Christopher Cook's practice focuses on complex commercial litigation, including matters involving insurance and health care fraud. He has experience in all aspects of litigation and has represented clients in a variety of high-profile matters, including numerous cases resulting in billion-dollar settlements. 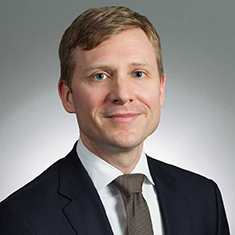 Prior to joining Katten, Chris was an associate at a large New York law firm where he litigated a broad range of matters, including federal securities claims, class action lawsuits, civil rights violations, contract disputes and environmental litigation. He also served as a law clerk to the Honorable Kevin Thomas Duffy in the Southern District of New York.